Gas fireplaces perfect for bringing coziness and heat a room during harsh winters, or keep you warm during a power outage. However, there are a lot of different brands and models available today. So, once you have decided to go with a gas fireplace, you must decide on which features you will be using so you can get a fireplace that best suits your tastes. A fan draws air into the space behind the firebox and pumps hot air out, heating a room in a hurry. Thus, it increases the efficiency of your device by improving air circulation and distribution. Just keep in mind that a built-in fan can sometimes be noisy. A gas fireplace typically uses a standing pilot light to ignite the flames without using external electricity, so it works when there is no power. However, newer units utilize an electronic ignition system, requiring electricity to start up. In the event of a power outage, they will work on battery backup. Both features add a realistic fire effect inside the firebox. While LED accent lights offer a fire-wood like flickering effect, the face clear panels let you see through the fireplace. This feature gives you the freedom to adjust the amount of heat coming out of your fireplace, from a whisper of a flame to a roaring fire. A wall thermostat control allows you to adjust the gas fireplace heat output to the temperature that you set manually or with a handheld remote. Now that you know some of the features that a gas fireplace has to offer, you need to find a shop to buy your new device. Hi-Tech Appliance is a reputable dealer for major appliances in Colorado. We have an appliance showroom in Louisville, CO, where you can see all the brands and models we sell. 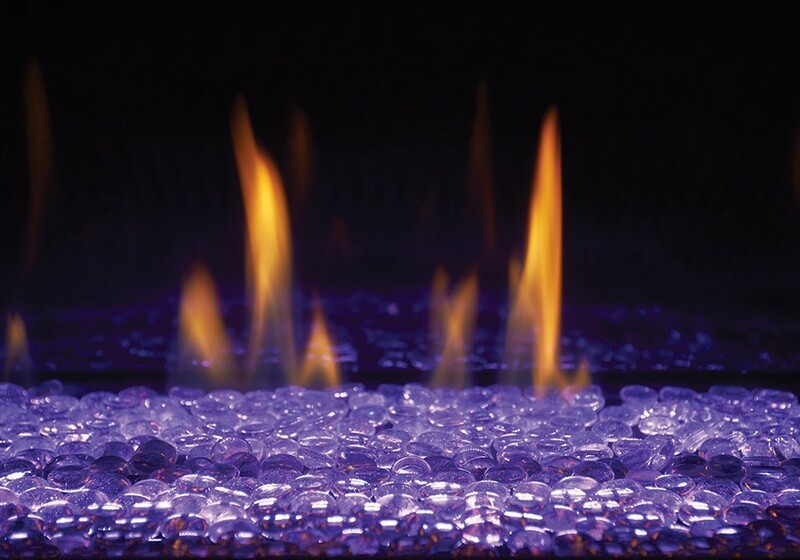 The gas fireplace of your dreams is at Hi-Tech Appliance!